The Clevea is a dry herb vaporizer that comes to us from Airistech that features a built-in 2200mAh battery and five different temperature settings. Although built with dry herb in mind, the Clevea can also vape oils and concentrates. The device itself has portable mod elements but features a stand that makes the Clevea great for home vaping as well. The oven on the Clevea is a conduction ceramic one that provides for even and thorough heating of your vape materials. It also features five different temperature settings and can be attached to many different water pipes and bongs with the convenient universal rig attachment that comes included in the kit. But after reviewing the revolutionary Linx Ares, it’s hard to get worked up about this nondescript entry that has no real selling points. So as you can see, there’s a lot included in the Clevea kit, and that’s all to support the versatility of a 3-in-1 vape mod. I wasn’t too convinced by the potential of the Clevea. It comes advertised as a dry herb vaporizers, but I then learned it also vaped concentrates and oils, so I was intrigued by such a seamless machine. But with the difficulty and precision needed to deliver a satisfactory 3-in-1 hit from something that’s not a top of the line model, I wasn’t convinced that the Clevea could perform so well. It’s not a spectacular-looking model. Nor is it that interesting to look at, and has no real distinguishing features. It has a nifty magnetic stand that you can use to place the device on when it’s charging or just resting. The Clevea fit my hand well, and the mouthpiece was well-formed, but more about that later. The quartz chamber unscrews from the battery and features a 510 connection thread for easy attachment to any other vape mod. In general, I saw that the Clevea has a sturdy build that won’t give in easily to getting tossed around. There’s a bottom LED light that glows green when the unit is ready to vape. The five temperature settings range from 375 F to 435 F and are all preset; you just have to cycle through them by pressing down the firing button. The tank and mouthpiece unscrewed easily enough from the battery, and the mouthpiece also acts as an adapter that can be fitted with an untold amount of bongs, water pipes, and bubblers. The mouthpiece is made of solid metal and has a ceramic filter inside, which is something rare to see on most devices, but I appreciate it when I do find them. The ceramic atomizer coil fits most 510 threaded mods and features a quartz lined heating chamber that can start heating materials within ten seconds. I only had some botanicals on hand for this session, so I haven’t yet tried the Clevea as a wax or concentrate vaporizer. The chamber mouth is wide enough to allow for easy loading. And I also noticed that there are isolated airflow valves along with the bottom of the coil to give it a significantly purer vapor flow. When you get the Clevea, you charge it first with the provided USB micro cable and wait to see the bottom LED indicator light turn on five times before it turns green and starts charging. The color of the LED lights also reveal the battery levels, from red, the lowest level to blue and finally, green. Once the device was powered up and loaded, you turn on the Clevea with five clicks of the firing button and pick a temperature out of the five presets by clicking the firing button once. I usually find that starting low in the temperature settings doesn’t produce a lot of vapor, and makes you wait even longer. With multiple temperature settings, it’s always best to start somewhere in the middle and spread out from there to find the right temperature for you. I eventually made my way up to around 420F and stopped there since I found the vapor production and flavor notes very fulfilling. The mouthpiece, and the device, in general, got noticeably hotter as I started increasing the temperature, so that’s why it’s a good idea to attach the silicone mouthpiece cover Airistech included in the kit. To find a comparable 3-in-1 device I turned to the best of the best, the V2 Pro Series 7. It was a lopsided competition from the start. The V2 Series 7 is much smaller and more portable than the awkward Clevea. The Clevea and the V2 both have solid, sturdy builds, but the V2 doesn’t have the overheating problem that the Clevea has. Vape-wise, the V2 only has three temperature settings, compared to the Clevea’s five, but those setting delivered precise flavor profiles, and sub-ohm capability beats the Clevea in the cloud-making department, hands down. The V2 Pro Series 7 sells at a much higher price, but it’s worth every penny for its performance and compactness. The Clevea is moderately priced but doesn’t perform at the same level as the Pro Series with its various settings and features. The Clevea doesn’t have a complication problem. 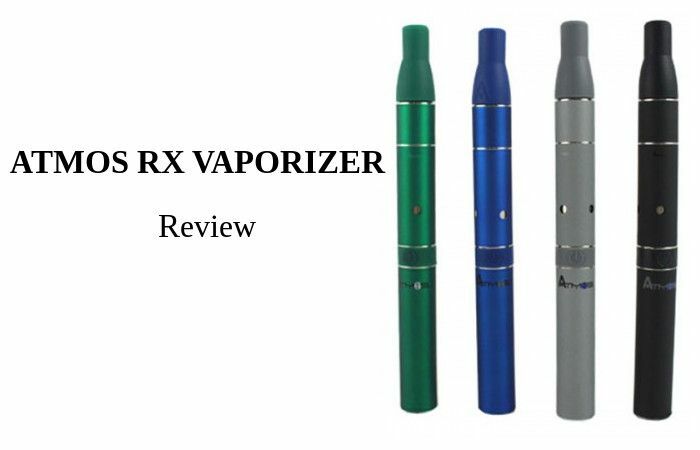 It’s not a master vaporizer but a relatively easy to use the device that still features some important technical aspects to impress veteran vapers. The Clevea has five temperature settings that let you find your ideal heat level no matter if you are vaping herbs, waxes or concentrates. I liked the stand that came with the Clevea; it solved a problem I have with most mods on where do I put the thing when I’m not using it, so it doesn’t roll off the desk. Thank you, Airistech. When I started to get closer and closer to the maximum temperature setting, the device and mouthpiece got uncomfortably hot. There’s a mouthpiece attachment to keep your lips safe, but still, that should be a problem fixed by the design team and not covered up with a band-aid. There isn’t much to say about the Clevea. It doesn’t break any barriers; it won’t win any awards; it will most likely, fade into that good night. I know I’m not going to remember it five reviews from now. It vapes evenly and well, although the overheating is enough to turn you off entirely from the Clevea. It adapts well to use with bongs and pipes but I’m not into that kind of thing anyway, so it’s not useful for me. If anything, the Clevea reminds you of the ubiquitousness of vapes nowadays. There are so many new models, so many new contenders that it’s only the truly exceptional vape mods that get remembered and noticed. But then again, that can be said about a lot of things, including people. I give the Clevea an underwhelmed 5/10. ATMOS RX-fountain pen-style vaporizer. Portable, Sleek Vaporizer is Designed to Provide Most Basic Functions with a Single Button. The vaporizer that looks like a zippo...is it just a novelty item or does it work? 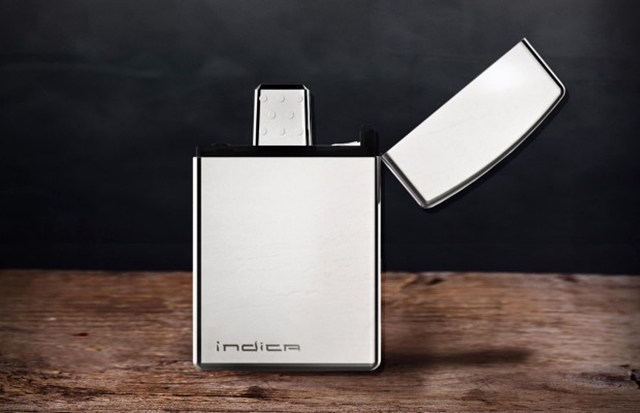 Read our Indica Vaporizer review here to find out. The FLYTLAB Fuse is an e-hookah that promises that you'll be able to combine flavor cartridges on the fly. 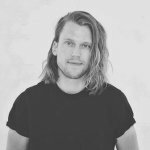 How well does this exciting premise work?